With 2013 3D family blockbuster Mr. Go (2013) behind him, director KIM Yong-hwa is set to return with the high concept film With God (working title) and stars HA Jung-woo, CHA Tae-hyun, JU Ji-hoon and Don LEE, aka MA Dong-seok, are coming along for the ride with him. Based on JU Ho-min’s webcomic of the same name from 2010, With God features Angels of Death escorting the deceased to the afterlife where they must endure seven trials over the course of 49 days. Gang-rim, the leader of these Grim Reapers, harbors a soft spot for humans which are put to the test when he meets the freshly departed Ja-hong. The webcomic features three parts, ‘Afterlife’, ‘Life’ and ‘Myth’. The film will focus on the first of these. 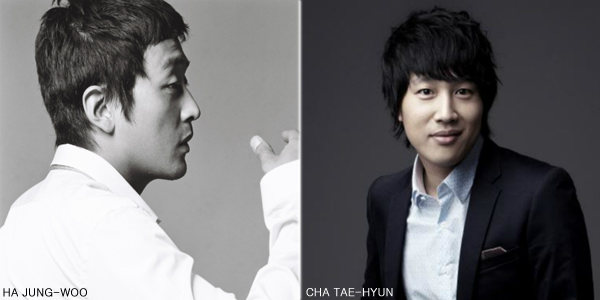 Star HA Jung-woo will first be seen in PARK Chan-wook’s The Handmaid and KIM Seong-hun’s in production Tunnel. Funnyman CHA Tae-hyun also has a pair of films on the way, the romantic dramas My New Sassy Girl and Because I Love You. Meanwhile, JU Ji-hoon was last seen in steamy period drama The Treacherous (2015) and Don LEE has zombie action-thriller Are You Laughing Now? on the way. Prior to Mr. Go, director KIM was responsible for the hits 200 Pounds Beauty (2006) and Take Off (2009). In an unusual move for a Korean production, With God will be released in two parts. The project, which will be financed and distributed by Lotte Entertainment, is due to begin production in April 2016 with a 2017 release date planned for part 1.